Well, kinda. I am thinking about making stuff that people can use to advertise their business. 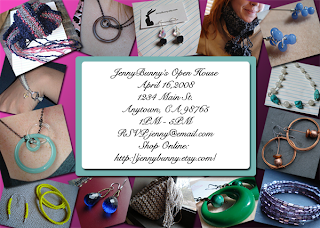 I've started with these Open House invites. These pictures are of my friend JennyBunny's work. She graciously lent me her pics so I could make an example of what I can do. Now, this isn't the most complex design I've ever come up with. But I like it. And I think it suits the style of her work. I'm also thinking about branching out into brochures as well. I've made a few for my step dad that people have responded well to. Maybe I will take my little card shop in a more industrialized direction. Who knows?